Let Maxi Climber help you climb your way to: Toned, shapely arms, Rock hard six packs, and Leaner, shapelier legs! 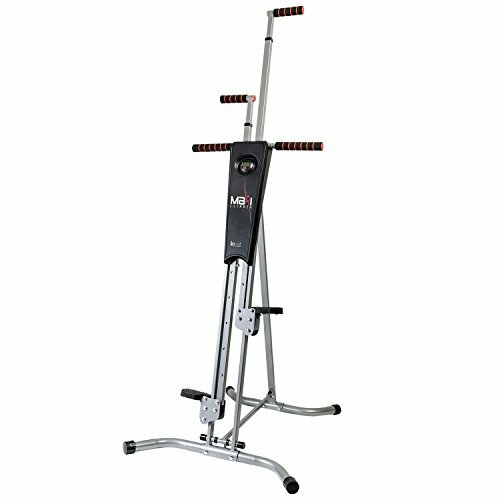 Get the body you’ve always wanted with this Maxi Climber® Total Body Workout machine, which provides a cardio challenge and engages your legs, core and arms all at once. It challenges you to mimic the movements of rock climbing using your own weight as resistance, all while helping you increase endurance and burn calories. The durable steel construction can be adjusted to fit your height, and it folds easily for compact storage.